IE Domain Registry (IEDR) offers free .ie domain names to all Charities who are registered with the Irish Revenue Commissioners. IE Domain Registry (IEDR) is the body responsible for the management of the .IE namespace. In order to assist registered Charities based within the island of Ireland with the promotion of their services online, IEDR has designed this policy to ensure these bodies are able to register the .ie domain names they require, without a financial cost for the registration or renewal of such domains. Accordingly, all registration and renewal fees are waived for fully registered Charities who can demonstrate compliance with the IEDR Registration and Naming Policy and Rules, by providing sufficient proof of charity status and connection to Ireland. The objective of the policy is to assist registered Charities with growing their online presence, allowing them to promote their activities and services to a wider audience. Registration and renewal fees for .ie domain registrations are waived by the IEDR for all Charities registered within the 32 counties of the island of Ireland. Such Charities must have a designated Charitable status with either the Irish Revenue Commissioners or the Charity Commission for Northern Ireland, in order to avail of the waived registration and renewal costs. Applicant Charities must demonstrate compliance with the Registration and Naming Policy and Rules, by providing a connection to Ireland, and proof of status. Check our WHOIS search facility to ensure the domain you want is available. Submit an application through an accredited .ie Registrar, and arrange a hosting package with this party (or any other hosting provider). A number of accredited .ie Registrars have agreed to waive registration and renewal fees for .ie domains being applied for by registered Charities, and a current list of these companies can be found at the bottom of this page. Please note that some Registrars may charge an administration fee. A member of our Registration Services team will review your application within 1-2 working days. If any additional information is required, we will advise your Registrar. Charity applications at submission can only request a 1-year registration term, however, the domain will subsequently auto-renew each year. Applicant Charities are required to provide proof of their Charity registration status in order to avail of the waived .ie domain registration and renewal fees. Documentation from the Revenue Commissioners / Northern Ireland Charity Commission / HRMC confirming that the Charity is registered within the 32 counties of Ireland, and has been approved for registered charity status. If you have any other form of documentation / proof which you feel adequately shows that the applicant is a registered Charity, please feel free to include this with your application, and we will happily review it for you. Under the IEDR Registration and Naming Policy, all applicants must demonstrate a substantive connection to Ireland. As this policy applies only to Charities registered within the 32 counties of Ireland, such a connection will be demonstrated in their proof of charitable registration status. 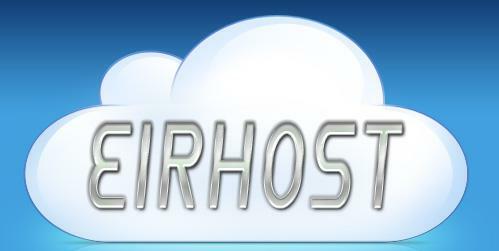 If you already have a valid hosting package which is configured in accordance with RFC protocols 1034 & 1035, you can submit your request through the IEDR Console. If you are unsure what this means, we recommend you contact an accredited .ie Registrar, who will assist you further. When applying through the IEDR Console, please ensure you select the Charity option in the owner type section of the application ticket, and enter the valid Charity (CHY) identifying number. Accredited .ie Registrars currently offering waived .ie domain name registration and renewal fees for Registered Charities are listed below. Some Registrars may charge an administration fee. What is a .ie domain? A .ie domain name is effectively a way of showing that your website is targeted at the Irish market. It’s Ireland’s online address.